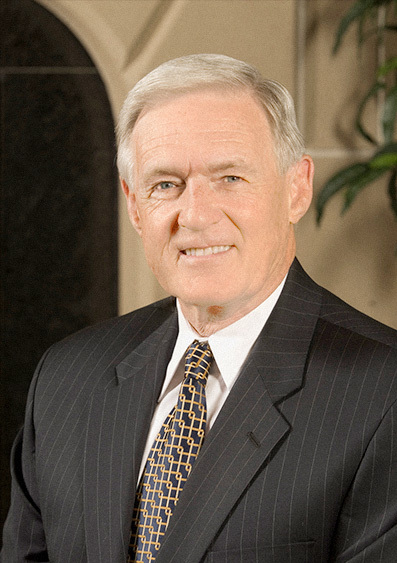 In a move that stunned the SNU community, President Loren Gresham announced today that he will resign his position immediately in order to join the Senior Professional Golfers Association Tour. Gresham, who has served in a variety of faculty and staff positions since joining the university in 1920, cited his “killer backswing” and “rockin’ putt” as reasons for vacating his academic duties for the links. Linda Brown Gresham, SNU’s “First Lady,” will be joining her husband’s training team as fashion consultant and lead caddy. Gresham’s tenure as president saw the completion of several major campus improvement projects, including the Hills housing complex and this April Fools’ newspaper article. The fact that he joined the staff in 1920 is what gave it away…That would make his current age 95 or 96. Really? Uh . . . I hope today, in addition to being April 1, 2014, also is April Fool’s Day at the Echo office. I am sorry. I cannot see anything funny about this. The fact this supposedly came from Greshams office is even more disturbing. “APRIL FOOLS” is just an excuse to tell friends a lie. Those who celebrate the fake holiday and call themselves Christians apparently do not take God’s commandments very seriously. I grew up Nazarene however the church no longer seems to reflect the God fearing values I choose to hold. Please forgive me if i have offended anyone. I’m sorry that this article has upset you. I just want you to know that we did get Dr. Gresham’s approval to run this article. The article is all meant in good humor, and we meant no disrespect to Dr. Gresham or the time he has spent as president at SNU. Also, if you read our about page and the information featured on every full issue, anything The Echo publishes with bylines “express[es] the opinions of the writer and not necessarily of the editorial staff of The Echo or the administration, faculty or staff of Southern Nazarene University.” I would assume this could also be extended to include the Nazarene church as a whole, unless specified. So far, we’ve received a lot of positive feedback, but I understand that every person has a very different sense of humor. Again, sorry that this has upset you so much. I hope you continue to read The Echo. I hope you have a great week! I sincerely apologize that you interpreted what was meant to be humorous as a pack of lies. It certainly was not my intention to deceive– I think that is obvious in the details of the article. The idea that Dr. Gresham would vacate his ministry at SNU for the SPGA tour is ludicrous and another clue I hoped would convey the idea that this was just a joke. This article was my doing and I hope you will not condemn the Nazarene brethren or the church as a whole for what I — a Christ-loving, joy-filled, non-Nazarene SNU student– wrote. I have a great since of humor, however this is social media and it Has now gone viral. The problem with social media is that once you send it, you can not take it back. This was shared on Facebook (where I saw it) over 500 times. The sad part is, even if you send out another article saying it was “April Fools” it will never get around to everyone. I understand that you had Dr. Greshams approval but I’m not sure either of you took in the consideration the damage that social media causes. I am a SNU graduate 5 years ago and I am not old, so the old fashioned card can not play here. I hope that you have learned a lesson and can move forward. This would have been a great April Fools joke for campus, you could have even shared it in chapel. The high seniority and respect that Dr. Gresham receives from so many, this was not well thought out. I just hope respect has now been lost for SNU or Dr. Gresham. Hi SNU grad! I really am sorry that this article has upset you. I’m very happy with the amount of attention this article has received (almost all positive), and I don’t want to take it back. I’m excited for the traffic it has brought to our publication’s site. I also want to point out that it says in the article that it is an April fool’s article, so I don’t think there would be any need to send out another article pointing that out. I’m unclear as to the damage you mention or the lesson to learn, but I truly appreciate your feedback and concern. Can I also ask how you think it would have been different as a joke for campus? I’m a little bit confused by that as well. I hope that you continue to read The Echo, and that we can continue to have conversation over articles. Thanks! It never entered my mind that your opinion was “old-fashioned.” I will graduate from SNU this spring at the glorious age of 55 (yes, you read that correctly), so age isn’t a factor here.People see things differently, and that’s ok. Frankly, I am surprised that it has gotten so much attention. I’m glad that, for the most part, it has been taken in the spirit in which it was written, and I hope you don’t put too much weight on one little article from a student newspaper. I am not sure what lesson you are hoping we learned. If I had the choice to do it again with the same guidelines and oversight (it was reviewed by an English department faculty member, Ronna Fisher, Echo editor and Dr. Gresham, publisher), would I do it? Yes, because “a merry heart doeth good like a medicine,” and those who read it accurately enjoyed a little humor in their day.